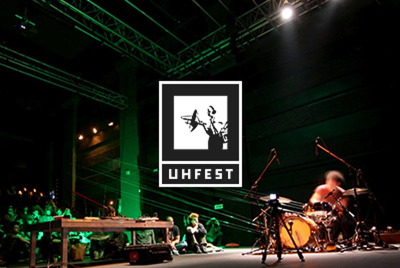 UH Fest is one of the rare events dedicated to adventurous modern music in Hungary. Since 2001 it has staged more than 450 performances during 7 festivals and a number of one-off events. Due to its decade-long activity and the scope of the events (both in terms of number of acts and stylistic variety) UH Fest became a high profile event — a point of reference even. UH has been putting special emphasis on presenting unconventional approaches towards music and pinpointing individual national scenes, which are — more often than not — left uncovered by the domestic media and bypassed by the organisers of large-scale festivals. Not focusing on genres is a principle that reflects in the overall activity of UH and in the actual programming of its events. Any given member of its audience is likely to hear music s/he did not “intend to”; or from another point of view: explore something new. It is a deliberate strategy to juxtapose artists not just from different genres, but also with different approaches and moods. At UH events, the audience can hear a funny, joyous or even ecstatic performance next to a more “difficult” or abrasive show; the cerebral is being juxtaposed with the visceral, the intimate with the abstract, etc. The organizers of UH are confident that such exploration, inter-cultural communication (let it be between national cultures and/or subcultures) is a fertile ground for creative ideas, and a source of a new kind of joy. UH Fests and events are organised by the Ultrasound Foundation, a not-for-profit, grass root organisation. It is not institutionalised and works only with volunteers.